China has already invited Afghanistan – west to Pakistan – to join the CPEC. Iran, which is located further west, has expressed interest in joining the project. The over $50 billion project – a key component of Beijing’s Belt and Road programme – is opposed by India as its planned route goes through the disputed Kashmir region. “The two sides will advance the CPEC. In the light of Pakistan’s economic development and its people’s need, we will identify the pathways and cooperation for the CPEC,” said Chinese Foreign Ministry spokesperson Geng Shuang. “We will accelerate the industrial cooperation and projects of people’s livelihood, extend the CPEC to the western area and make more people to benefit from it,” he said. 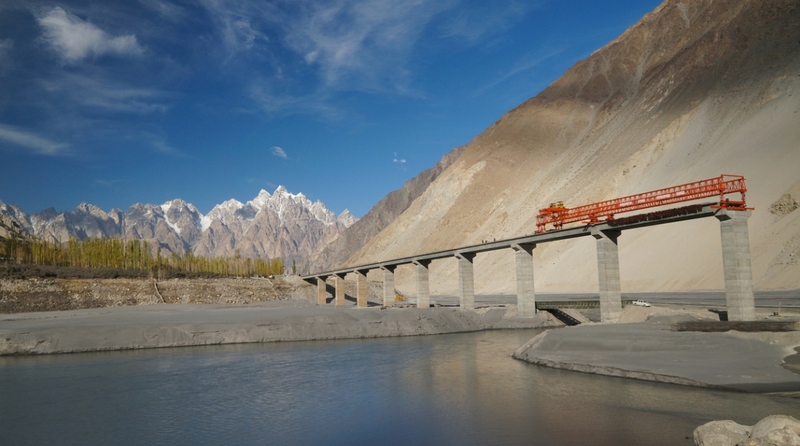 The CPEC envisages linking China’s Kashgar in Xinjiang to Pakistan’s Gwadar port. Geng was replying to a question about Chinese Foreign Minister Wang Yi’s three-day visit to Pakistan last week during which he met the country’s new leadership. He said the all-weather friendship between China and Pakistan was not aimed at targeting any third country, which could be a reference to India. “Our relations will not target a third party and will be influenced by our development of foreign relations with other countries,” Geng said at a routine press conference. “Politically they (China and Pakistan) will further enhance political mutual trust, strategic communication and firmly support each other’s core interests and mutual concerns. They will have closer communication and coordination on issues of common interest,” he said. “On the security front, the two sides will enhance cooperation in defence and enhance exchanges between their militaries and law enforcement agencies. China will firmly support Pakistan in combating terrorism in the light of its own national conditions,” Geng said.